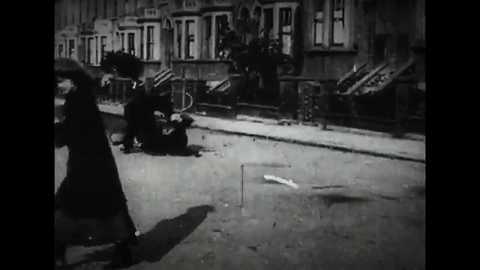 Then the foreground minor character adds a bit more distraction from the main action going on in the background: Then the woman turns front, obviously responding to the cameraman/director's warning that she is in the way, and she moves left to give us an unimpeded view. A conclusion reached from this: The fact that this shot was not redone for the finished film indicates the early assumption that as long as the events were on the screen, it was up to the audience to follow them. That conclusion is jumped to rather carelessly. 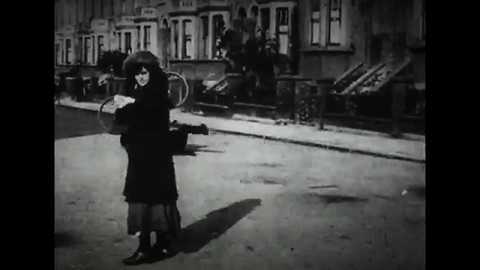 This film is exceptionally slapdash - it is certainly not true that all early film disregarded the audience perspective. The next scene is even more puzzling: thirteen seconds of horses drinking at a water trough! Then the horses leave and the viewer must stare at a vacant trough for another second before something crawls out of the right corner of the screen, and maybe another second before it becomes apparent that what we see is two men grappling. Oh right, there was some kind of chase going on before, remember? 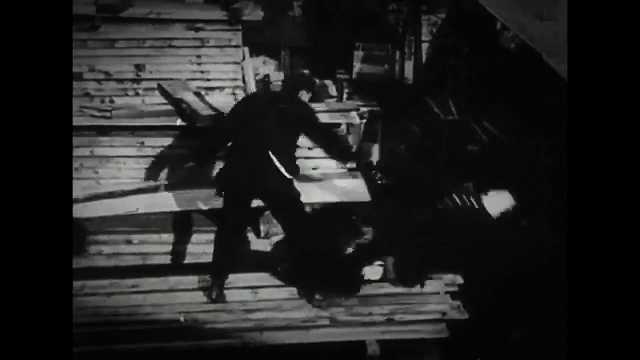 But that addition brought a problem that too often plagues even modern filmmakers: falls are fast - in a blink of an eye. So some compromise must be reached between real time and screen time. Here, over six seconds elapses between fall and landing. No physics is needed: that just feels wrong, because it is inconsistent with everyday experience. In fact, with no air resistance, a body would fall 577 feet in that time. 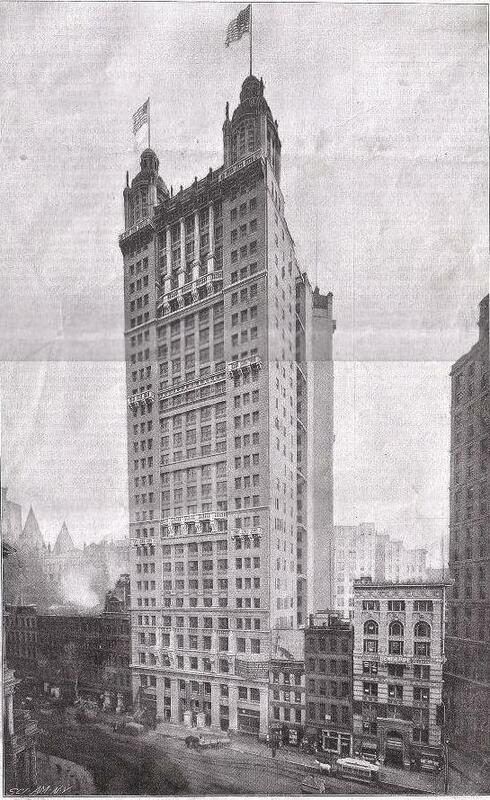 The Park Row building, until 1908 the tallest building in the world, was only 391 feet high. So our lamster seems to have found some heavenly site from which to dump the cop, whose body after landing probably would not be in a form easily picked up - more likely scraped up. 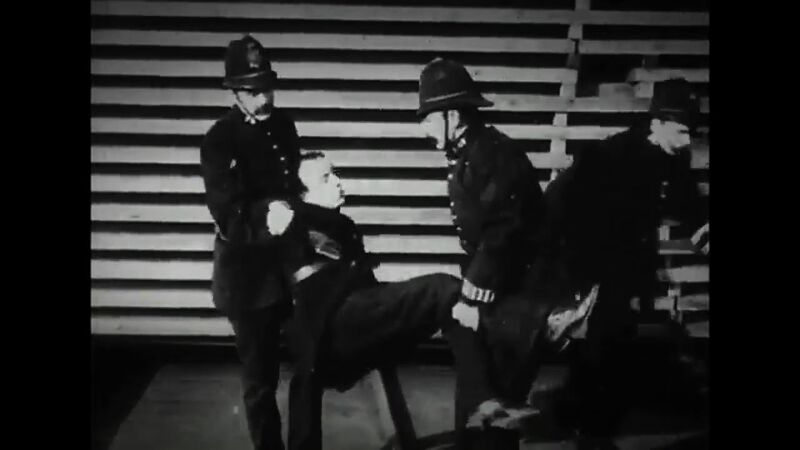 Later films would use cross-cutting between the struggle above and the approaching police below to imply overlapping events, and in that way cut the time between fall and landing. But, until then, the wiser choice was simply to avoid the problem by not showing the landing, as in A Daring Daylight Burglary. 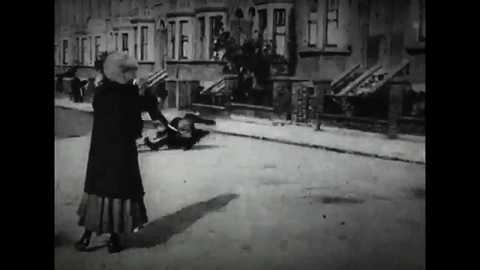 More strangeness can be found - enough goofs to qualify this film for the title of "'Plan 9' of 1903".